February 4, 2013 STAMFORD, Conn., February 4, 2013  WWE (NYSE:WWE) announced today that Bruno Sammartino will be inducted into the WWE Hall of Fame at a ceremony on Saturday, April 6, 2013 at Madison Square Garden. Sammartino, nicknamed The Living Legend, is a two-time WWE Champion and the longest reigning WWE Champion in history, holding the title for a combined 11 years. His first title reign began on May 17, 1963, where he defeated Nature Boy Buddy Rogers at Madison Square Garden. After losing the Championship in 1971, he regained the title on December 10, 1973, defeating Stan Stasiak at Madison Square Garden, holding the Championship until April 30, 1977. When he retired from the ring, Sammartino became a color commentator for WWEs syndicated Superstars program and stepped back into the ring on special occasions. After his departure in 1988, Sammartino was openly critical of WWE, and for many years declined the offer to be inducted into WWEs Hall of Fame, citing concerns with WWEs content and culture. For my fans around the world, I am pleased to be joining the WWE Hall of Fame, especially at Madison Square Garden, said Bruno Sammartino. Tickets for the 2013 WWE Hall of Fame Induction Ceremony are currently available through all Ticketmaster outlets, www.ticketmaster.com or by calling 1-800-745-3000. All tickets are subject to service charges and facility fees. For more information on Bruno Sammartino, please visit www.BrunoSammartino.info. SYDNEY, AU, January 12, 2012  WWE® announced today that Edge and the Four Horsemen will be among the 2012 class of inductees into the WWE Hall of Fame. The ceremony will take place Saturday, March 31 (US time) at the AmericanAirlines Arena in Miami, the evening before WrestleMania® XXVIII. Throughout his storied career, Edge, known as the Rated-R Superstar, held every major title in WWE. He is a former WWE Champion, World Heavyweight Champion, Tag Team Champion and King of the Ring®. His final match took place at last years WrestleMania in Atlanta, where he defeated Alberto Del Rio to retain the World Heavyweight Championship in front of a sold-out crowd of more than 71,000 fans. One week later, in an emotional speech on Monday Night Raw®, Edge was forced to retire due to a neck injury. Outside the ring, Edge is a New York Times bestselling author. The Four Horsemen, consisting of Ric Flair, Arn Anderson, Tully Blanchard, Barry Windham and manager J.J. Dillon, were the most dominant group of the National Wrestling Alliance (NWA) in the 1980s, transcending the world of sports entertainment into all avenues of pop culture. This grouping was the first of its kind, paving the way for the likes of the NWO®, Evolution® and DX®. 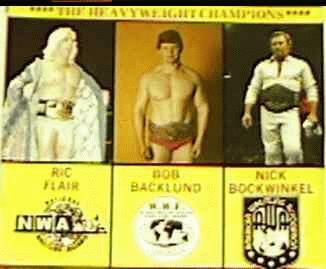 While the Four Horsemen would undergo many transformations over the years, none would ever be as paramount as Flair, Anderson, Blanchard, Windham and Dillon. Additional inductees will be announced on WWE programming over the coming weeks. Tickets for the 2012 Hall of Fame Induction Ceremony go on sale this Sunday, January 15 from 2 AM Australian EDT and will be available through the AmericanAirlines Arena box office, www.ticketmaster.com.au, Ticketmaster outlets or by calling Ticketmaster on 136100. Von Erich Family, "Cowboy" Bill Watts, Koko B. Ware. Howard Finkel "The Fink"
The World Wrestling Entertainment (WWE) Hall of Fame is a hall of fame for professional wrestlers maintained by WWE. It was officially created on the February 1, 1993 episode of the World Wrestling Federation's (WWF), the predecessor of WWE, Monday Night Raw television program. On this episode, the sole induction of WWF alumnus André the Giant, who had died the previous week (January 27, 1993), was announced; his death was the reason for the creation of the Hall of Fame. After André's induction, the WWF continued the process of inducting members into the Hall of Fame. For these inductions, ceremonies were held to formally induct the candidates from 1994 to 1996; no video footage has ever been released by WWE of these ceremonies. After the 1996 ceremony, the WWF stopped the inductions of wrestling personalities into the Hall of Fame without a formal announcement. In 2004, WWE relaunched the Hall of Fame to coincide with the twentieth anniversary of WrestleMania. This ceremony, like its predecessors, was not broadcasted on television, however, it was released on DVD on June 1, 2004. Beginning with the 2005 ceremony, WWE broadcasted the final few inductions into the Hall of Fame on Spike TV (2005) and on the USA Network (2006 - present); these were aired on tape delay. The first inductions were broadcast on WWE's official website. The 2008 edition of the Hall of Fame was broadcasted live on the USA Network. Since 2005, the Hall of Fame ceremony has been packaged as part of that year's WrestleMania DVD release. Although a building has never been built to represent the Hall of Fame, WWE has sought into constructing a facility for the Hall of Fame. WWE's Executive Vice President of Global Media Shane McMahon has stated that the WWE has been storing wrestling memorabilia in a warehouse for years, and that all items are categorized and dated in case a facility is created. Induction into the Hall of Fame is dependent upon whether the candidate is on good terms with WWE. Former WWE employees who often criticize WWE or currently work with a different promotion have not been inducted. Others, such as Bruno Sammartino, the longest-reigning WWE Champion in the title's history, are alienated from the promotion and refuse to be inducted, despite having been asked several times. As of 2008, there have been a total of 68 inductees, with 60 members inducted individually and four tag teams inducted. Thirteen of the inductees have been inducted posthumously. André's sole induction was the least amount of inductions into the Hall of Fame in one year, while 2004 had the most, with 11. (Credit: Wikipedia).